SysAid > Company > Newsletter > Issue 69: A Zero-cost Cloud Service Desk, can you afford not to take a look? Last month, we were honored to be named “Best Vendor” by The Service Desk Institute – thanks to our incredible customers who voted for us. It’s our customers’ success that leads to our success. Without them we simply wouldn’t exist. Would you like to share in this success? 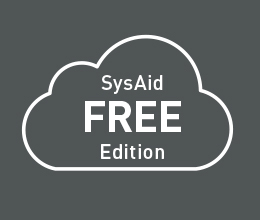 SysAid Free Edition - now available in the cloud! Need more than a basic free ticketing system? Then we’ve got good news! SysAid Free Edition offers you a fully-functioning Service Desk packed with all the essential capabilities, and even includes Asset Management. Worried about the lack of support that usually accompanies free software offerings? Don’t panic we’ve got that covered too! 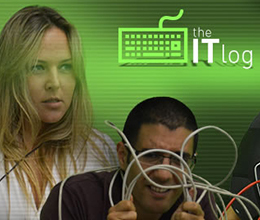 We’re excited to announce our latest initiative – The IT Log – a collaborative video project challenging IT professionals to show the world what they really do at work. Play your part in throwing those degrading IT stereotypes out of the window, plus get your hands on incredible cash prizes at the same time. Want to know how to tackle the BYOD reality, and how to gain better control over your assets? Interested in BYOD support policy best practices? Need help with knowing what to expect when budgeting for BYOD, and how to reduce costs? 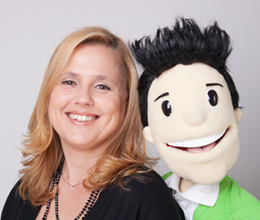 It’s lucky for you then that SysAid CEO, Sarah Lahav, and Joe the IT Guy are on hand with some great advice to help you.